Edge Street Party, Northern Quarter, Manchester. I woke to a text from a friend asking if I fancied coffee, cake and a catch up. As if I was going to say no. I knew there was a street party happening in the Northern Quarter Manchester and considering they have great cafes this seemed a good place to meet. 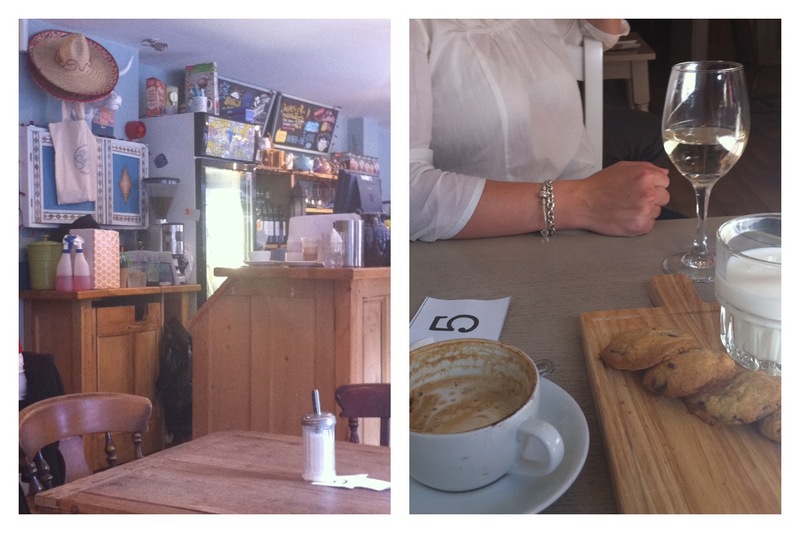 A quick stop for food at Simple (fry up) and then into Tib Street. Luckily at this point the rain had stopped and people had began to surface. Gazebos, tables, benches, buskers, buntin, bars, food stalls and dj’s were all out in force. The NQ was not going to be beaten by the rain! The clouds clearedhref=”https://coffeecakeandme.files.wordpress.com/2012/08/img_0866.jpg”&gt; the roads dried and the sound of funk, soul and dance classics coming from various dj stands dominated the streets. Taking advantage of the sun we sat amongst the crowd and opted for cold fruit cider. It’s through my new venture in the cafe world that I have found out about things going on in cities. You would never think that the places we pop in for a coffee are part of a sub culture of events, art, music and gatherings. I have decided I am part of the foodie/coffee group and it tastes good! With only one week of my holidays left so far following the bean has taken me to cities, street parties, spending time with friends, finding new places and a few dates. It has also turned me into a coffee snob! Being with someone who doesn’t drink hot drinks places such as Home Sweet Home are perfect. Having a bar in a cafe/coffee shop is a perfect idea. While Catherine opted for a wine I managed to get my coffee fix. Due to the set up of the day cakes were limited. Having spotted someone on another table with what looked like small cakes on a chopping board I thought I’d have what they’re having. A great coffee arrived and a wooden board, on it a glass of milk and 5 freshly made to order choc chip cookies. Rand om sized they looked and smelled delicious. They did not disappoint. Warm with crunchy edges and soft moist centres they went down a treat! Milkshakes were popular and looked thick and tasty. Both being single our meets always involve a catch up on the dating front and familiar situations always crop up. The mobile phone generation has made texting the most common way of communicating. It also makes things very easy. Like rejecting someone. It avoids confrontation or even having to verbally say it to someone or having to get into a conversation about it. But that’s if you’re lucky. I say this because despite the fact texting makes difficult situations very easy it is growing ever more common to suddenly hear nothing. One minute you’re planning when you’re next seeing them or a first date, the next you send a text and in return you get nothing. Not a cancellation, let’s rearrange or a sorry but I’ve changed my mind. All of those things easy to do over a text or so you’d think but, apparantly not. Or is it? I think it is if you’ve got manners. Ignoring texts is rude and leaves someone on the other end wondering what is going on. This type of behaviour goes on from men despite their age. Not something exclusive to young guys and boys, surely you would expect better from a man in his 40’s? Infact it appears the older the man the worse the problem. This usually is the case when some sort of ‘situation’ is going on at their end. Instead of communicating this with you the contact stops. So, if one minute you’re getting lovely texts but the next you don’t hear from them consider yourself ‘dumped’!